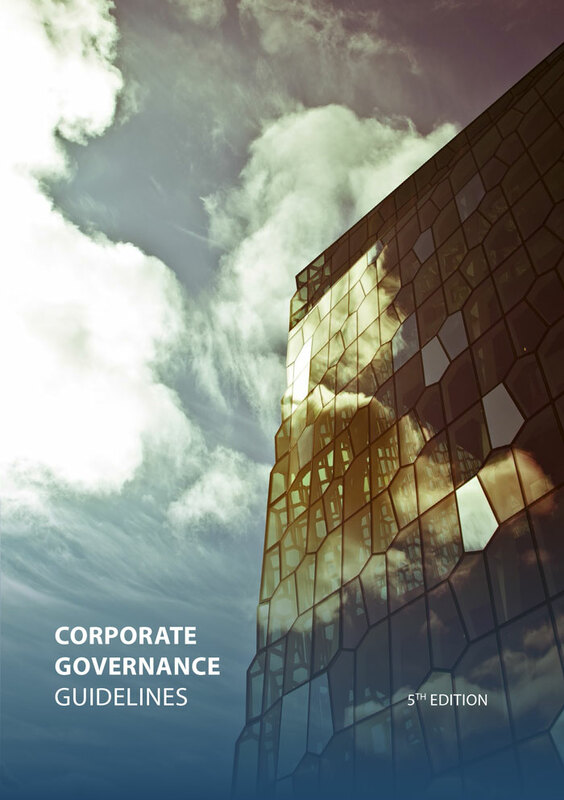 The Chamber has taken on the initiative of publishing guidelines on corporate governance in collaboration with SA-Business Iceland and Nasdaq Iceland. The fifth edition of the guidelines was issued in June 2015. Both at home and abroad companies have increasingly constructed and applied their own procedures and benchmarks to meet higher standards. It is very important for the business community to show enhanced initiative in this field and show that it is more viable and better that companies display and take on them-selves responsibilities than increasing public surveillance and regulation. The guidelines' objective is to clarify the roles and responsibilities of board members and company directors. By doing so it is made easier for these individuals to manage their duties at the same time as shareholders benefits are strengthened. The Chamber has also published guidelines on corporate governance for public companies which was triggered by the state's acquisition of Iceland's three biggest banks.